Srinivas Tadepalli from Guntur, B.E. - B.Tech Graduate. TEACHING RESEARCH A.. LABORATORY WORKS PH.D IN CHEMICAL ENG..
are one of expert skill area's of Srinivas Tadepalli . 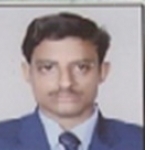 Srinivas Tadepalli is working in Teaching/Academic/Education industry.